Dale Earnhardt Jr is in the post-driving portion of his career. The NBC broadcaster doesn’t begin his new role until the Daytona July race. However, Dale Earnhardt Jr is still a fan of the sport. He still needs to be on top of what’s going on. So, he went to Martinsville Speedway over the weekend. That particular spot at Martinsville is about 25-30 feet from the cars. Martinsville isn’t known for it’s speed. However, that’s the fastest point on this particular track. From there, Dale Earnhardt Jr and Steve Letarte relocated to the #13 hauler. Ty Dillon drives that car, his primary sponsor is GIECO Insurance. Dale Earnhardt Jr is still a spokesperson for Nationwide Insurance. That’s a slight conflict that might be pointed out by the NASCAR Reddit police. Dale Earnhardt Jr suffered multiple concussions throughout his NASCAR racing career. Toward the end, the last one was the toughest. It was too the point where lights and too many people, would make Dale Jr dizzy. Dale Earnhardt Jr didn’t call his family doctor. Instead, he went right to the top. 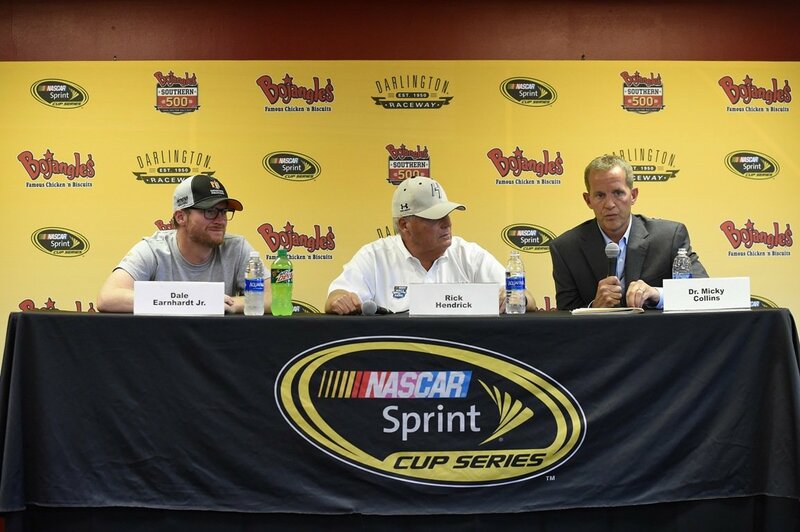 He called on Dr. Mickey Collins who worked with Dale Earnhardt Jr back in 2016. 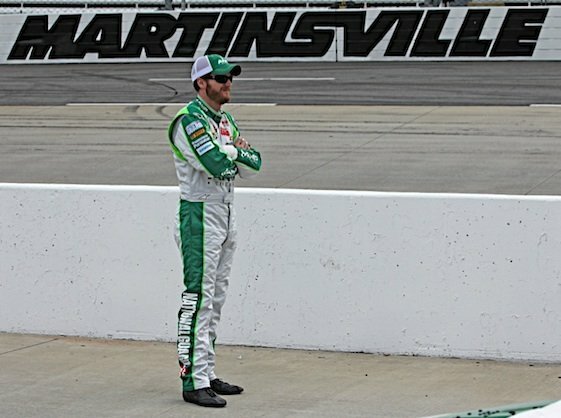 Dale Earnhardt Jr was crowned a 15-time Most Popular Driver during his final race in 2017. He came in as a fan favorite and he left as one.